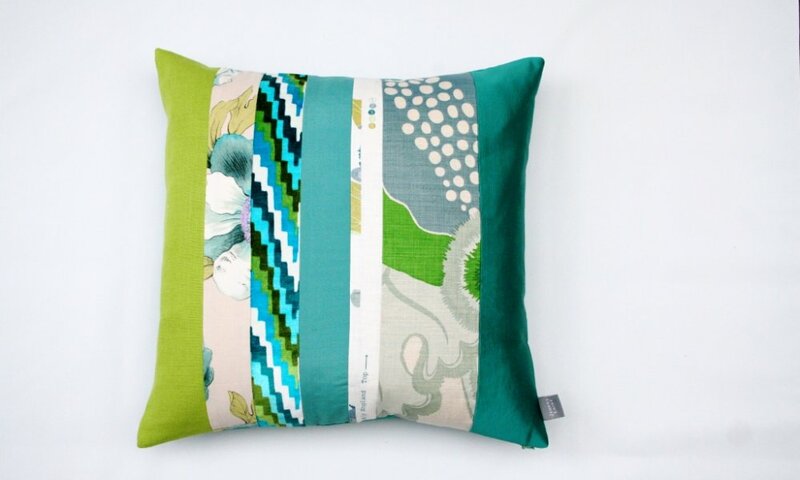 45cm square cushion in shades of teal, apple and lime to pick out the colours on the selvedge strip within the cushion. 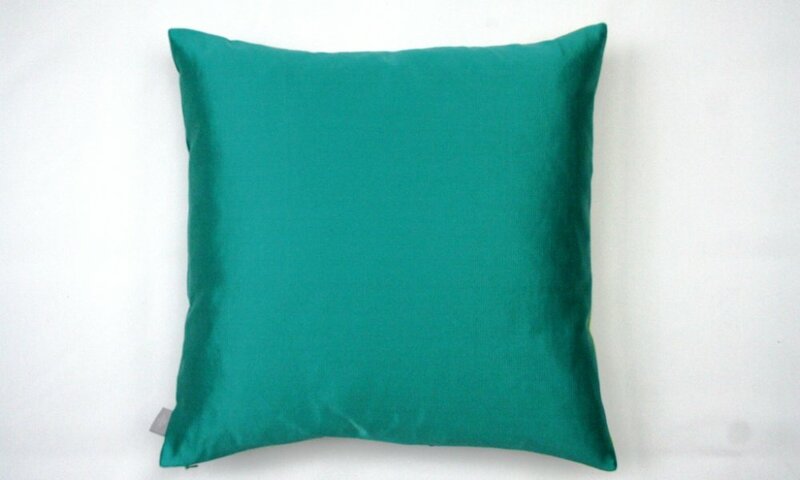 Cushion has a concealed zip, feather pad and brand label. This cushion is dry clean only. Each edge peacock cushion will be slightly different in the fabrics used to create a unique cushion every time.